We offer our guests a 10% discount on tickets for a Sight and Sound show. The tickets must be ordered by our BnB, and based on seat availability for your preferred show time at the theater. It works as follows: You call us (717-872-7440) and let us know your preferred date and show time. We verify seat availability and purchase the tickets for you at the discounted rate. We send you the confirmation email for the tickets. Then you pay us directly for the cost of the tickets. Please contact us with any questions. Lancaster has a professional baseball teeam in the Atlantic League. The team is called the Barnstormers and they play home games in Clipper Stadium just a few miles from our location. We offer our guests 2 complimentary tickets for the asking. Limit two per visit. We have a limited number of tickets for the season so it is first come, first served while our supply lasts. Ask about the tickets at reservation time so we can hold them for you. From time to time various restaurants, attractions, recreation, theaters, and shopping venues offer discounts that we can obtain for you. Tell us the kind of discounts you are looking for, and we will help you find them. Authentic Bed and Breakfasts of Lancaster County offers a Passport program you may find of interest. Simply for asking, we send our guests a link for online access to numerous discount coupons. Our rates are based on two person occupancy. Additional adults are $25 and children (ages 3-12) are $15 each. Children under 3 are no cost. Our spacious suites accommodate families traveling together affordably. Complimentary home cooked breakfast is served for all. Private bath, queen bed, twin beds, sofa beds, and cots available with bedding. A large back yard, a community park across the street and the many Amish country attractions make this a family-friendly place to visit. The Cabin Family Suite sleeps 8 and the Dutchman Suite sleeps 5 comfortably. Our rates are structured so that Sunday through Wednesday rates are $20 per night less than weekend rates (Thursday through Saturday). Many Bed and Breakfasts have a two night minimum stay policy. We waive the two night minimum stay requirement for a fee of $29. Please note that there are some holidays or special occasions when our schedule does not allow for this offer. Stay on your birthday and receive a 10% discount on your stay. Offer is not valid in combination with other offers or gift certificates. Let us know at reservation time, so we can prepare a special surprise! 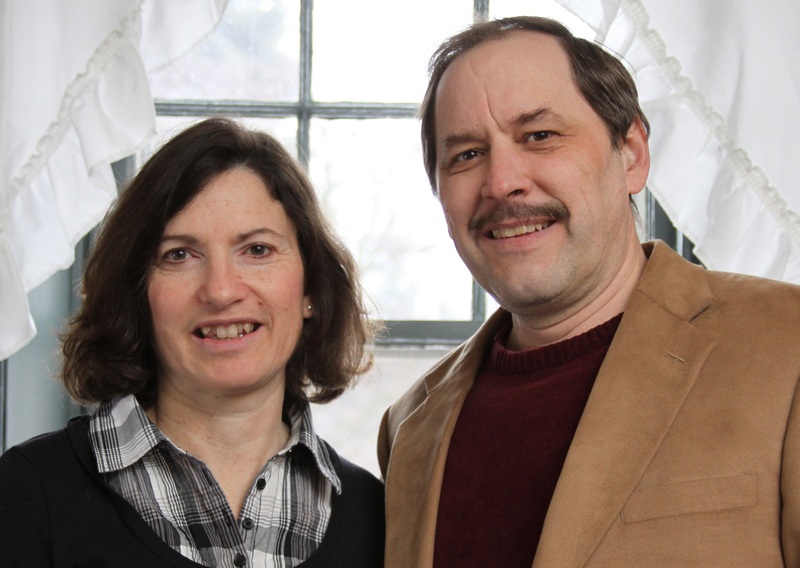 Host Dr. Ed Hersh is an experienced pastoral counselor who can help you improve your marriage. Combine your stay with a session (or several sessions) to work through specific issues, renew vows, learn new insights, or simply evaluate where things stand. To ensure Ed's availability, let us know your wishes at reservation time. Ed schedules sessions on a donation basis, with a suggested fee of $50 for a two hour session. As a nationally certified Christian counselor, host Dr. Ed Hersh also offers optional counseling and prayer ministry for guests at the B&B. This help is available for individuals, couples, or families struggling with loss, grief, depression, anxiety, addiction, conflict in relationships, or other mental health concerns. For Ed's availability and scheduling purposes, please inquire about this at reservation time. Book 2 or all 3 suites to accommodate from 2 to 15 persons for a retreat setting. Cost is the usual double occupancy rate plus $15 per person. Ammenities including breakfast are included. Private and quiet setting facilitates quality time together. Parks, grocery and convenient stores, restaurants, and much more are within walking distance to facilitate productive time spent together. Rooms throughout the house are wired for high speed internet connection (or wifi). Please call us to discuss more details. Tools for Christian leaders are also available for empowering and equipping for greater ministry. Small Teams or individual pastors, missionaries, or ministry leaders are welcomed at the BnB for rest, planning, get-away, or refocusing vision. Dr. Hersh provides a safe and confidential place to unpack the stressful demands of ministry and challenges in personal life. For availability and scheduling purposes, please call Ed at 717-872-7440. Inquire about Le Rucher model debriefing . Missionaries and pastors may apply for rate discounts up to 50%. See BnB Healing Ministry for more information. DISCLAIMER: Discounts and special offers are offered solely at the discretion of the innkeepers. Personal schedules, room availability, and unexpected circumstances may prohibit Blue Rock Bed and Breakfast from granting these offers.